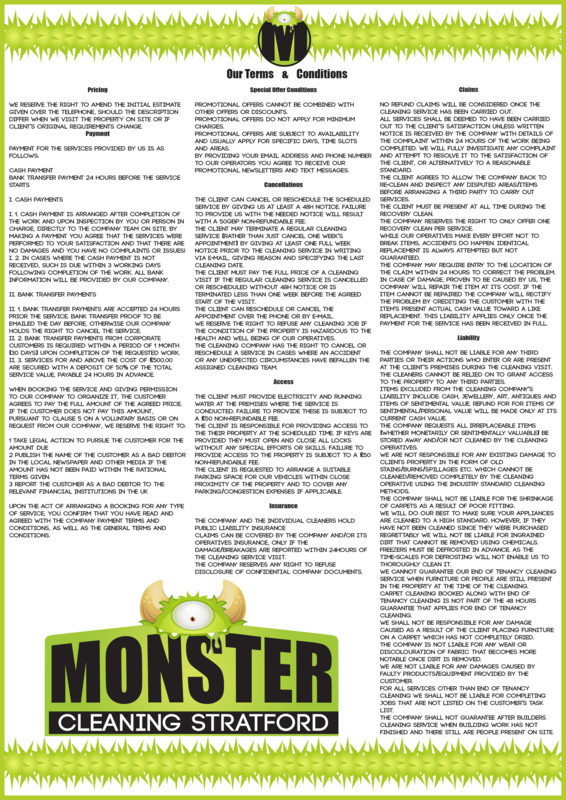 These are the terms and conditions that denote the agreement between you and Monster Cleaning Stratford. They outline and explain all the conditions under which the firm agrees to provide you with professional cleaning services. It also gives a detailed definition of both yours and the company’s responsibilities, obligations and rights. Since this is a two-way contract, you should carefully read and follow the terms and conditions listed below. Make sure you contact our consultants, if you find some parts of the agreement ambiguous or unclear.